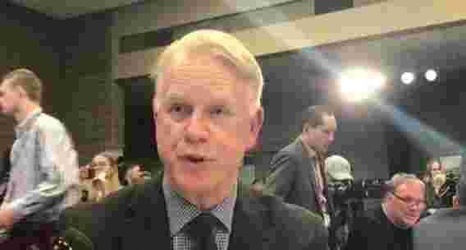 Rod Wood opened the Detroit Lions' annual season-ticket holder summit Monday by reminding those in attendance that general manager Bob Quinn wouldn't be revealing "who we're going to take with the eighth pick" in April's draft. Perhaps, Wood should have told the crowd that Quinn wouldn't be sharing who the Lions won't take, either. With two and a half months still left until the draft, Quinn offered up his best head fake Monday, saying he wouldn't rule out taking a quarterback in the top 10 just over a month after he and head coach Matt Patricia reaffirmed their commitment to Matthew Stafford.